Pantone just announced their annual Color of the Year, and for 2018 it is Ultra Violet. 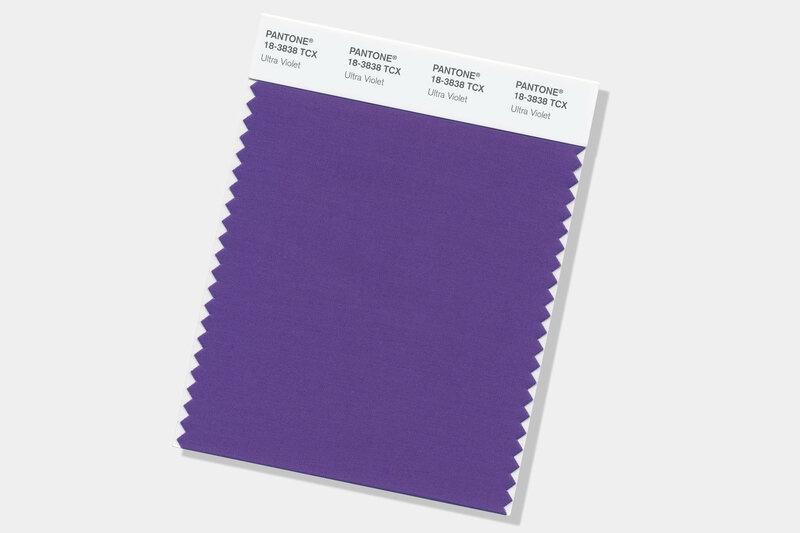 In their announcement, Pantone called Ultra Violet “dramatically provocative and thoughtful” and that it “communicates originality, ingenuity, and visionary thinking that points us towards the future”. Not only does this color have influences in technology and nature, some of the world’s greatest musical icons, Prince, David Bowie, and Jimi Hendrix used shades of this color as personal expressions of individuality. In their announcement, Pantone said that “Enigmatic purples have also long been symbolic of counterculture, unconventionality, and artistic brilliance”. They hope that this color will spur “individuals to imagine their unique mark on the world, and push boundaries through creative outlets”. Lastly, purple is “often associated with mindfulness practices, which offer a higher ground to those seeking refuge from today’s over-stimulated world. The use of purple-toned lighted in mediation spaces and other gathering places energizes the communities that gather there and inspire connection”. This deep color of purple was chosen to inspire hope, individuality, and be a calming force at the same time. To read Pantone’s whole announcement, click here. To read our blog about Purple Color Psychology, click here.